We have extensive experience in business event management. 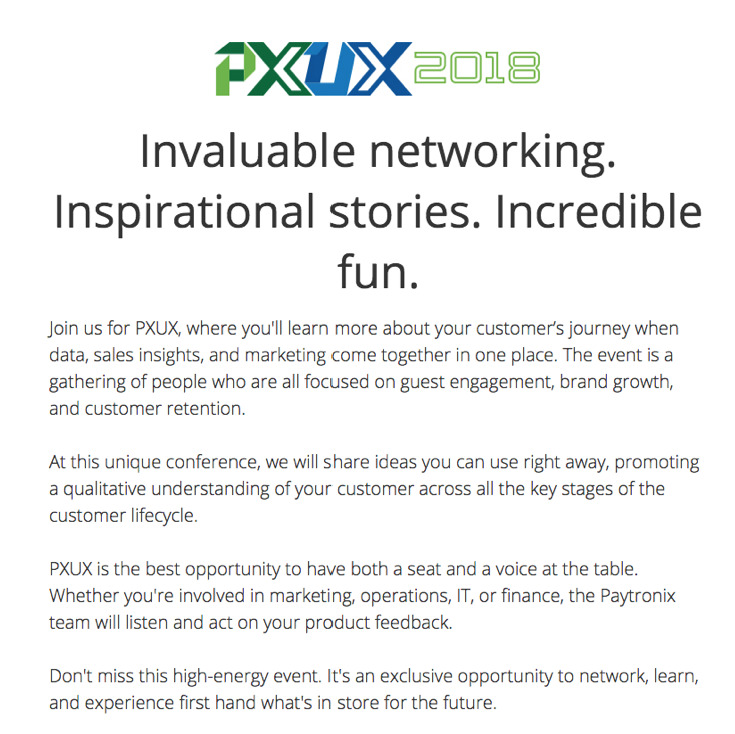 When Paytronix needed additional professional event management with their growing users conference, they knew we could help. 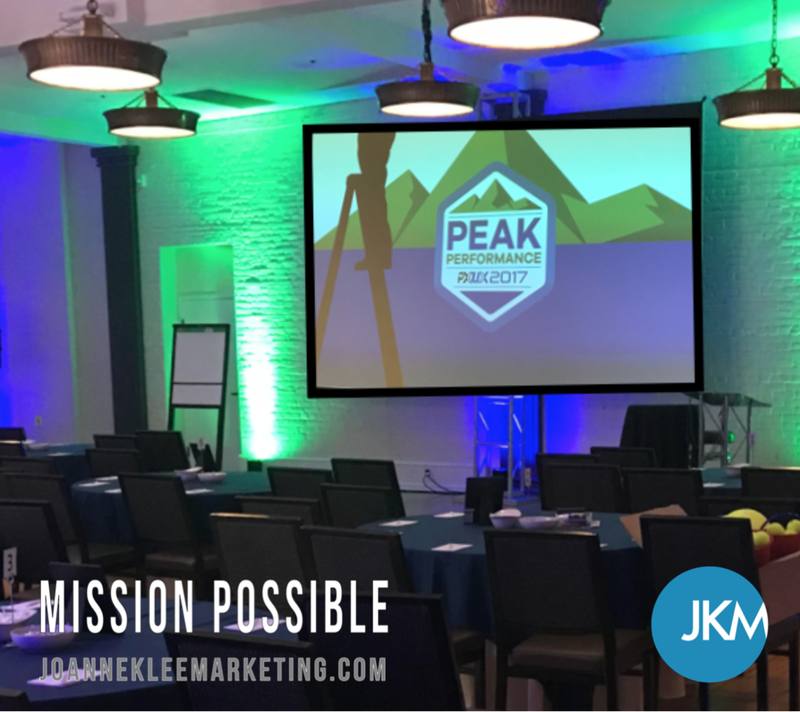 We helped develop the 2017 Peak Performance Event in Denver Colorado. We create the project log, manage the committee, and make sure tasks are completed. We develop event goals & objectives. We keep the event development on schedule, and the client informed. We will maintain the image and tone of your brand. You too can have the best event management in Chicago and nationwide. We can manage your event, and let you rest easy while the details get handled. Let's Get Started. For every client we conduct a brand assessment to ensure we deliver marketing materials that align with YOUR organization look and feel in the front seat. This includes any materials we develop for your event. Marketing plays a role from the graphic design of the invitation process, to the infographs that help drive the registration process. We provide the copywriting and editing services to make sure the content stays on point with your brand. Joanne Klee Marketing and Event Management is full service or as needed “a la carte” support. EVENT MANAGEMENT | We handle ALL the details. We have extensive experience in business event management. We listen to your goals & objectives. We bring valuable Marketing Experience to support your event. Full service or as needed “a la carte” support. EVENT PLANNING | We produce your event. Behind the scenes or running your event, we customize and bring your ideas to life. We customize the event plan. We secure and manage the vendors and services. We work with committees, teams, and with your staff, or independently.